Noted for his “ energetic, expressive, concise, insightful, and sensitive” conducting (The Washington Post), Ryan’s versatile and vibrant musicianship has distinguished him as a leading music educator and frequent guest conductor and clinician to choral and instrumental ensembles throughout the United States. Ryan's choral ensembles have been invited to perform at international and national festivals, master classes, and historic locations including The Washington National Cathedral, St. John the Divine, New York University Steinhardt, The Kennedy Center, Carnegie Hall, Bruton Parish Church, and the Edinburgh Cathedral (Scotland). Since 2009, Ryan’s collaboration with American contemporary composers has distinguished him as an advocate for interdisciplinary collaboration in the arts, alternative venues, and new commissions. Ryan has also maintained an active career within the marching arts. 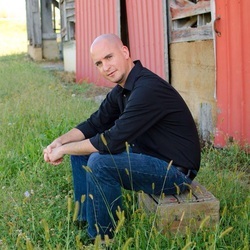 He has worked with several championship high schools band programs in Virginia, Pennsylvania, Indiana, and Texas as a music arranger, brass technician, and marching instructor. He was a performing member of The Cadets and Carolina Crown Drum and Bugle Corps and has been a consultant for numerous DCI World Class Drum and Bugle Corps. As a composer, Ryan’s “innovative and hauntingly beautiful" music has established him as a prominent composer and collaborator of his generation. Praised for its “gorgeous canvases of sacred minimalism" his music has been heard in venues throughout the United States, Canada, Puerto Rico, and Europe. He has received commissions and performances by Terra Voce, R. Andrew Lee, pianist; Megan Ihnen, mezzo-soprano; Musica Harmonia, Western Michigan University Chorale, University of South Florida Chamber Singers, Holly Roadfeldt, pianist; Fresno State Concert Choir, Ethos Collective, the Great Noise Ensemble, among others. Ryan has participated in the Aspen Composers' Conference, the Capital Fringe Festival, the Interlochen Summer Music Festival, and has held residencies at Wildacres Artist Colony, Factory 449 Theatre Collective, and the Composers & Schools in Concert (CSIC). His compositions have received awards and recognition from The Society of Composers, The American Choral Society, Analog Arts, ASCAP, the American Prize, the Raabe Music Prize, the Virginia Music Educators Association, and are exclusively published by MusicSpoke, Inc. Originally from Martinsburg, Pennsylvania, Ryan (b. 1980) earned graduate degrees from The Catholic University of America (DMA), Shenandoah Conservatory (MM), and Bridgewater College (BA).